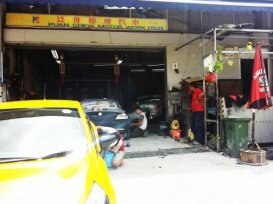 Here at Puan Chew Motor, they are committed to their job and perform cost-effective paintwork and repair. They are professional and friendly, ensuring you to receive the best advice on repair, insurance claims and car paint. Whether your car requires just a small touch-up or a completely new paint job, they will be delighted to serve you and restore your car to perfect condition. Not bad in spray painting.. Uses good quality paint..